Donate materials we need to build Artificial Nesting Islands and Loon Alert Buoys, or contribute money directly to purchase this stuff. Funding is also required for postage, fuel expenses traveling to lakes throughout the six counties (and more) we operate in, loon yodel calling devices, injured or stranded loon rescue equipment. 1. See a list of materials required for rafts and buoys on the “Stuff We Need” page. 2. Send a check directly to our mailing address by visiting the “Donate” page. 3. Adopt A Lake: Visit the Adopt-A-Lake page and fund ongoing efforts to ensure that a Northern Michigan lake of your choosing continues to be a healthy home for breeding loons. 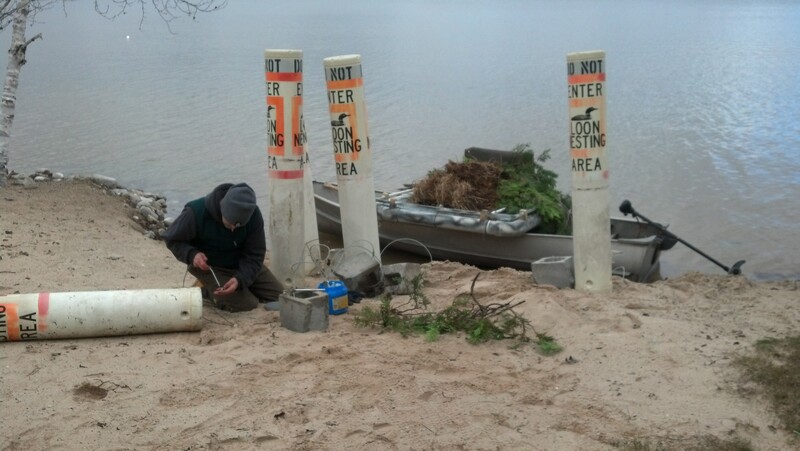 Contact LoonCorps to see if your lake choice is a nesting lake, a dormant territory, or holds potential to be a nesting lake.